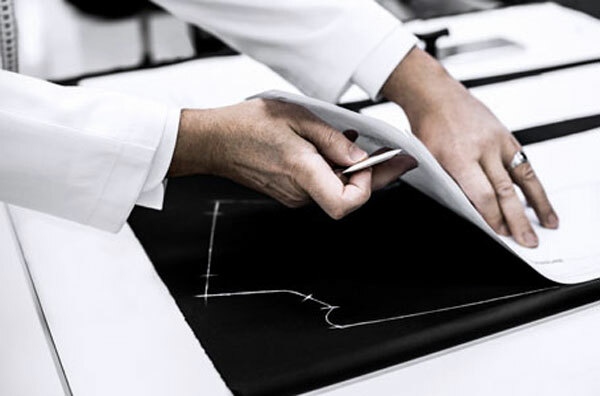 Everything begins at the stroke of Kris Van Assche's pencil. 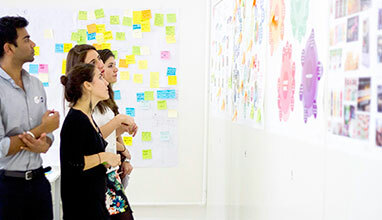 The design studio interprets his drawings. A simple technical drawing is enough for them to understand the balance of the jacket, how it will hang on the body and its style. The studio works solely with neutral fabrics— the rolls of fabric are chosen for the way they fall, their weight and their fineness. For the tailors, the shape is the most important thing. Then comes the pattern stage. Held firmly in place with weights, the clothing's silhouette is drawn with precision, using chalk to trace the lines of the pattern. 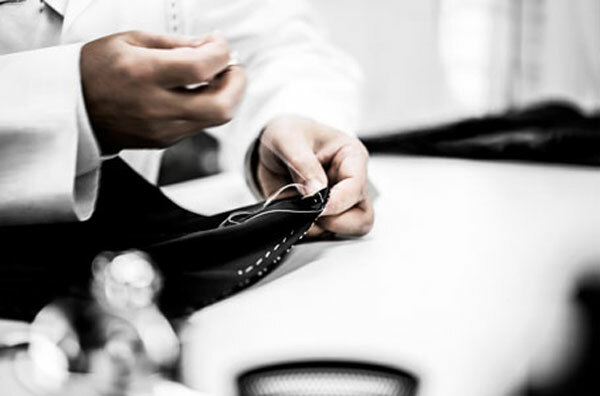 This ancestral and indispensable process serves as a reminder of the tailors of the Homme atelier's unparalleled expertise. 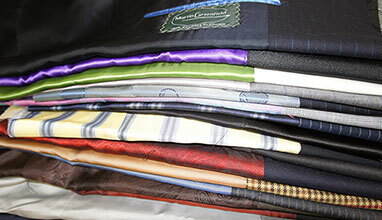 At this moment in time, the collar, lapel, panels, ends and slots can barely be made out under the craftsman's scissors. 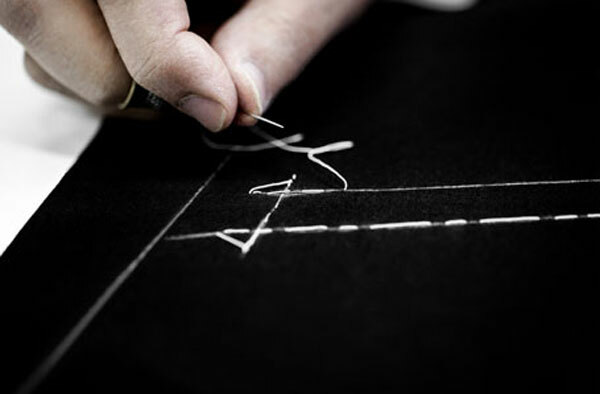 The tailor outlines the points making up the key lines of the jacket by hand. The toile has already been inserted in between the layers of fabric. Now invisible, it lends the desired stiffness in selected areas. This is the reinforcement which will support the piece's contours from the inside. The line of the lapel, the projection of the shoulder and the curve of the chest couldn't exist without this canvas work. Using delicate hand-stitching, the canvas is fastened to the fabric during interfacing. 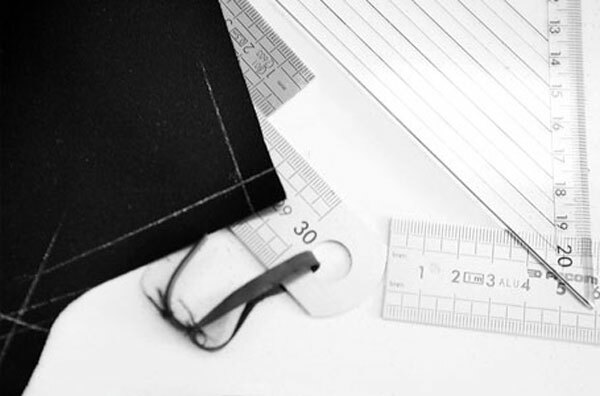 This meticulous and precise work carries on The House of Dior's ancestral expertise. The jacket comes to life: its contours and volume take shape. The neutral lining is black, and carries the grey Dior label. A model slips on the jacket and it is inspected once again. It has taken shape and is almost finished. The collar with felt lapels is added, before stitching the sleeves, which have been cut and constructed separately. Now it's time to attach them. This architectural construction will become the frame of the jacket. The shoulder, lengthening the chest, defines the silhouette. The drop downwards is emphasised. A curve is cut in. The gathers are adjusted to bring the sleeve and the opening together. There you have it. The shape of the jacket is now finished. After sewing on the buttons and buttonholes, and adding any braids, shoulder pads or martingale belts, the jacket is ready for its final inspection. Presentation to Kris Van Assche begins. Details are altered, lines are adjusted, or a curve is changed here or there. 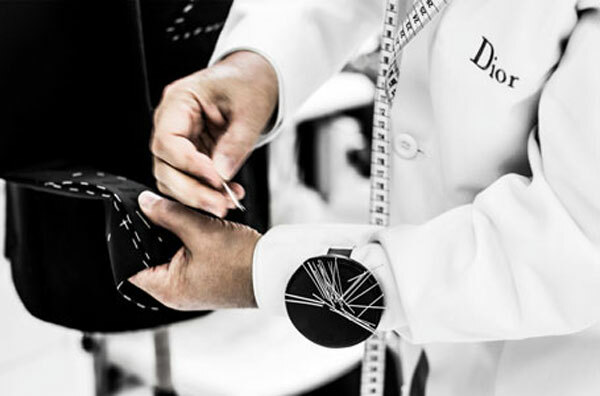 Once the jacket has been approved, it goes to the Dior manufacturing atelier. 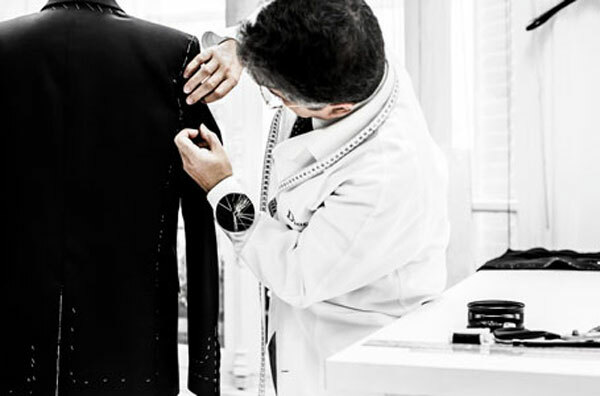 Once approved by Dior Homme's Artist Director, the jacket begins a second life. 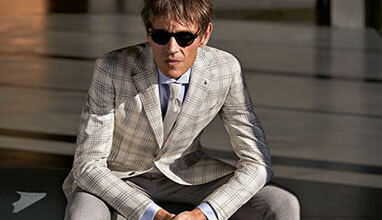 It is made in small production runs, and will be shown at the ready-to-wear Homme show. The neutral working fabric has now been replaced by final proposals, with differing patterns, colours and composition.